Is the patient’s ECG viewable while they are wearing the device? Yes! ScottCare’s real-time ECG streaming capability allows you to view and record a patient’s ECG at any time to ensure proper device function and utilization. What cellular provider does your MCT device utilize for event transmission? TeleSense can be paired with cellular transmission devices from AT&T, Verizon, T-Mobile and Sprint as well as other approved cellular providers. These transmission devices are interchangeable and can be used with any TeleSense device. The devices also have the ability to transmit directly over a home or business Wi-Fi network in areas where cellular connectivity is not available. What is the difference between MCT and event monitoring? 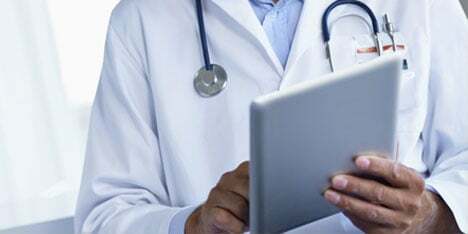 Mobile cardiac telemetry (MCT) monitoring records continuous ECG for the entire patient monitoring duration with all events being automatically transmitted and received across a cellular network. Traditional event monitors only record patient ECG data when an event or symptom is noted and must be transmitted acoustically across a landline. Can we bill your MCT device as a regular event monitor under CPT 93268? Yes! The TeleSense monitor qualifies as both an MCT (CPT 93229 and CPT 93229)), a cellular/wireless event monitor (CPT 93268) and a Holter monitor (CPT 93224). These devices can be changed on a per-patient basis as needed. Dependent on the required use and patient insurance acceptance. How is the MCT data transmitted to us? All patient events and all heart-rate trending information are automatically sent and received across a cellular or wi-fi network and are received and sorted by the CardioView DX Suite. How many events does your MCT device store? The TeleSense RCM stores and automatically transmits an unlimited number of patient events during each 30-day monitoring period. All raw ECG data can be accessed at any point during the monitoring period. Can we change the programming settings on the MCT device? Yes! The pre- and post-event settings, as well as the auto-trigger characteristics, can all be changed on a case-by-case basis in the provider’s office or via a remote cellular connection. Is the MCT able to auto-trigger on specific arrhythmias? Yes! TeleSense will auto-trigger on atrial fibrillation, bradycardia, tachycardia and pause events. The device can also be programmed to automatically send event strips identifying the exit of atrial fibrillation, bradycardia and tachycardia. Automatic EKG recording and transmission on a scheduled interval (ie every ten minutes, every 30 minutes, hourly, daily) can also be programmed on the device. Is the analysis software only installed and accessible on one computer? No. The TeleSense receiving platform is installed on a network or virtual server that allows clinicians to access events and process reports from any network-connected computer. How many batteries does your MCT use? Are they rechargeable? Each TeleSense device comes with two rechargeable lithium polymer batteries. It is recommended that you have one battery recharging while the second battery is actively used in the patient device. We recommend that patients exchange their batteries on a daily basis or as instructed by their healthcare professional. Can the MCT be programmed without a computer? Yes! The device can be programmed remotely with an active cellular or wi-fi connection depending on the monitoring situation. In the office, the device can be directly programmed through a direct USB connection. How is the event data transmitted to us? Patients using traditional looping and non-looping event monitors are able to transmit their recordings across a traditional telephone line. It is received and digitized for processing with the EventCare system. EventCare is available as a standalone or networked software application that can be accessed from any network or Internet connected computer. This allows increased flexibility and improved workflows for each clinician. Can we use our existing King of Hearts™ devices with EventCare? Yes! EventCare accepts most standard industry event monitors with our receiving platform. EventCare is a device-agnostic system. Can patients transmit event data using a cellular phone? Most traditional event monitors are not certified for use with cellular phone transmission. ScottCare recommends using the TeleSentry MCT for automated transmission and receipt of patient events across cellular networks. Can we customize patient reports? A variety of patient report formats are available depending on the type and duration of a patient transmission. ScottCare can customize reports for our customers who need them. Are you able to create mobile cardiac telemetry (MCT) reports? ScottCare’s TeleSentry mobile cardiac telemetry platform includes the ability to receive and process traditional event monitors, ScottCare digital Holter monitors, and our proprietary mobile cardiac telemetry devices. Can EventCare automatically calculate heart rates and ECG intervals? Yes! ScottCare’s EventCare platform has the ability to calculate single beat heart rates, as well as providing calipers for clinician mediated interval measurements. How are the reports delivered to the physician? EventCare-created PDF reports can be printed, emailed, faxed or sent directly to a patient’s electronic medical record system. How many patients can EventCare manage? Unlimited. Since EventCare is a server-based application, there is no limit on the number of patients and devices that can be managed at any given time. Customer-provided server hardware and storage can enable access to tens of thousands of monitored patients, regardless of location.